FSX native B-36 Peacemaker. Built by consolidated vultee (Convair) in the late forties, The Convair B-36 Peacemaker was the largest American bomber every produced. Development of the huge plane began in 1941. The Army Air Force wanted a bomber that could fly from the United States to Europe, drop bombs, then return. The prototype first flew on August 8, 1946. The first operational models were delivered to the Strategic Air Command 1948. ​Included in this file are versions, A, B, D, H, and J models. The A and B versions are textured in FS9 style polished metal textures. Includes a virtual cockpit based on the B-36B cockpit, with a few updated and modern instruments, and a full gauge panel on the engineer station. custom sounds taken from scenes in the movie "strategic air command." Extract the provided zip file in a temporary folder. 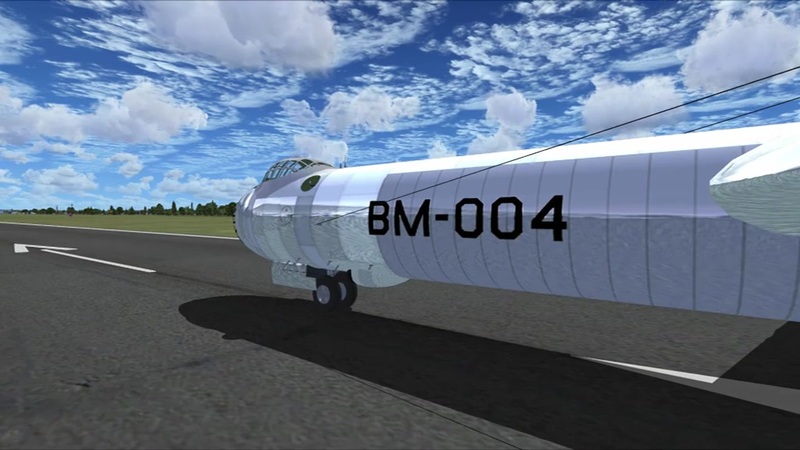 Copy the folder Convair B36 Peacemaker into the Aircraft folder of FSX. Copy the contents of effects folder into the effect folder of FSX. Copy the contents of sounds folder into the sound folder of FSX. The archive b-36_peacemaker.zip has 359 files and directories contained within it. Sorry I give this no stars. Skins are nonexistent. Beautiful job. Awesome to fly. I salute the creator of it. As a young Air Force pilot over sixty years ago I saw one in the air and never forgot it. Looks beautiful with highly polished bare metal skins. Bombay opens and closes. Seems a little too lightweight and maneuverable when heavily loaded. Sounds incredibly real, but can't figure out how to control the 4 jet engines. Badass plane glad to see you added a modern autopilot. This plane has it all I highly recommend the download. The jets are not modeled in a functional way, The aircraft was built to represent the B model before the jets were added. Also they were only used for takeoff thrust and then shut down at altitude. Any other questions on it feel free to ask, I am the creator of it. Remove Preview DX 10 in setting. I installed this but there are no external skins. What do I need to do? Nice plane but the skins seem to be too bright.